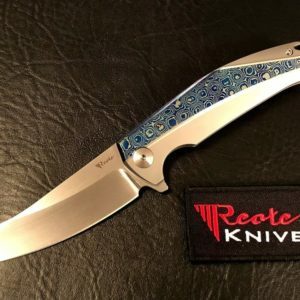 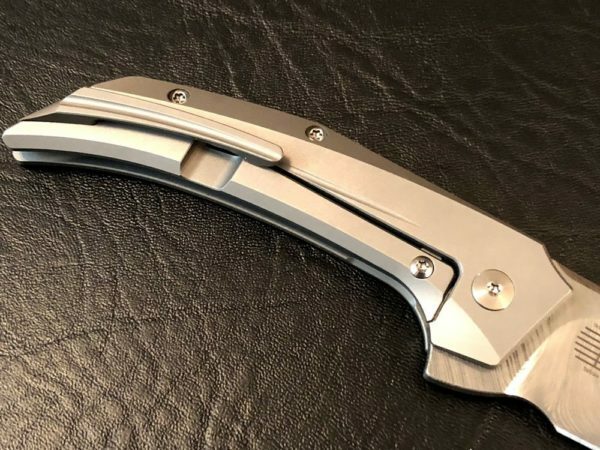 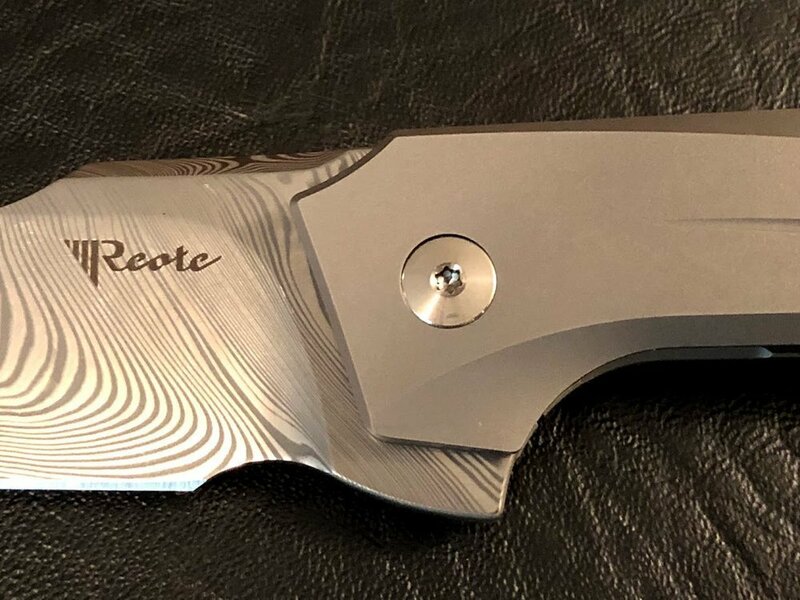 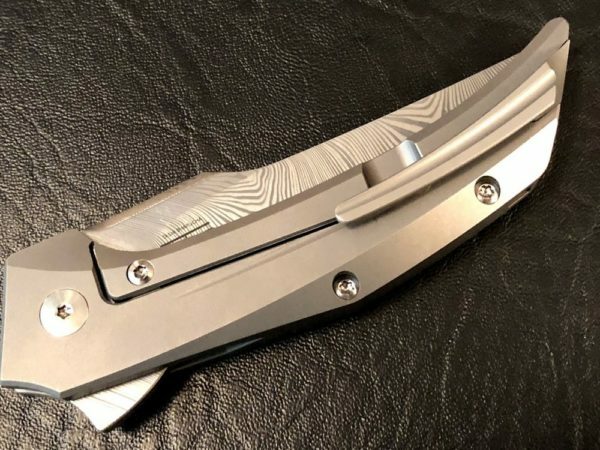 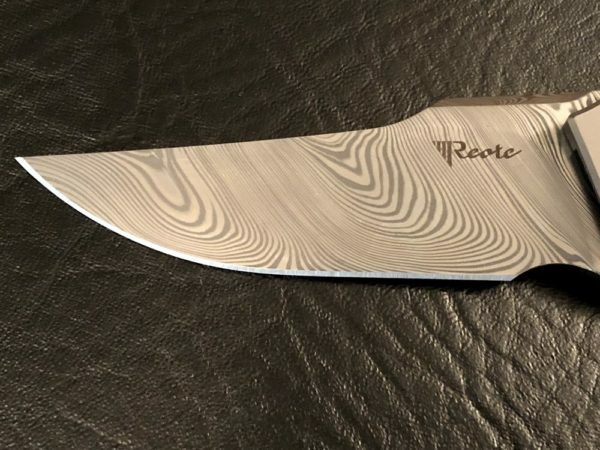 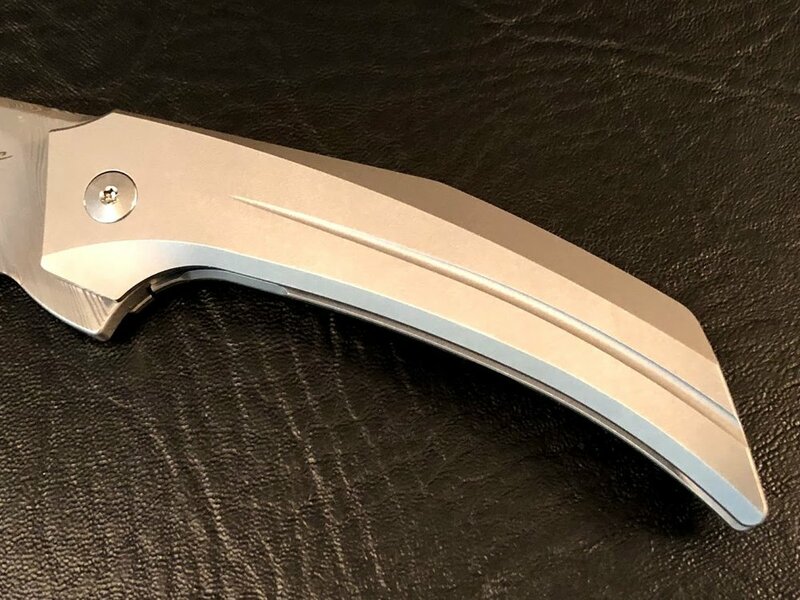 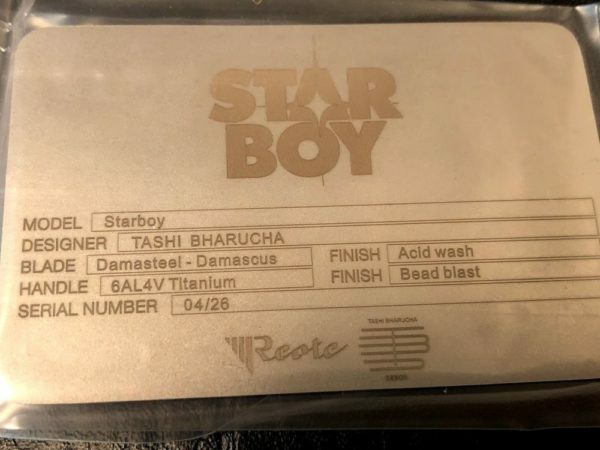 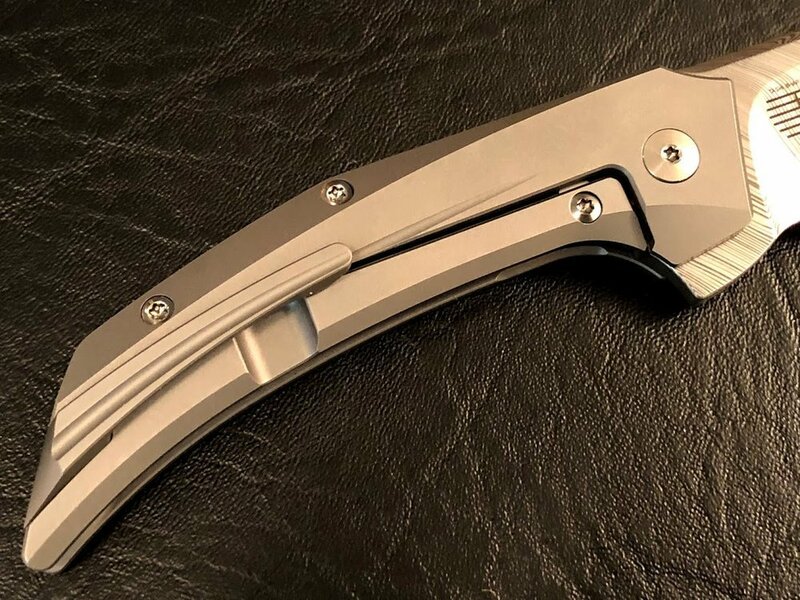 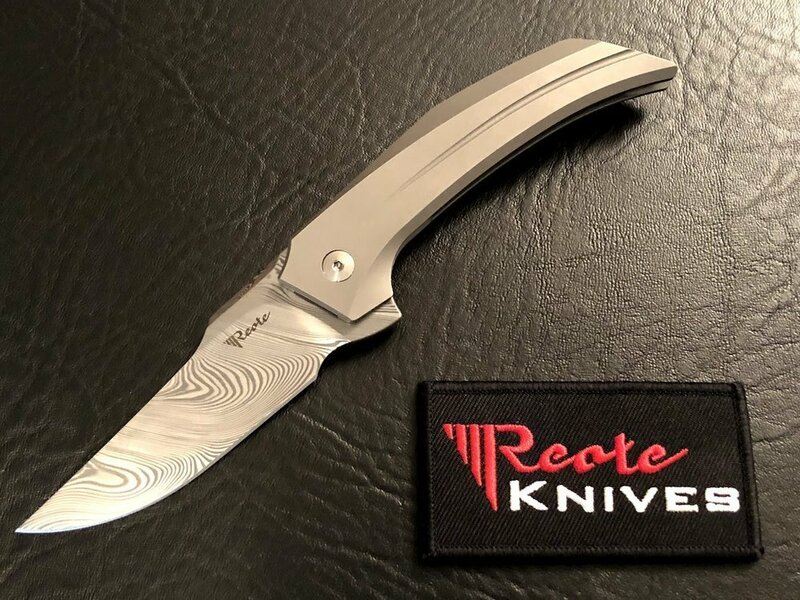 This is the Reate Knives Star Boy. 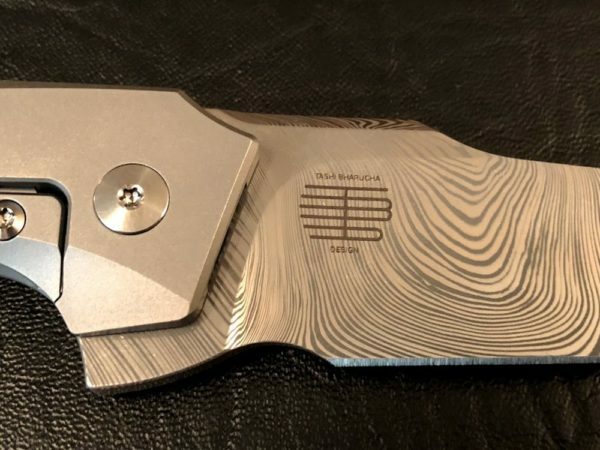 This is a Tashi Bharucha design. 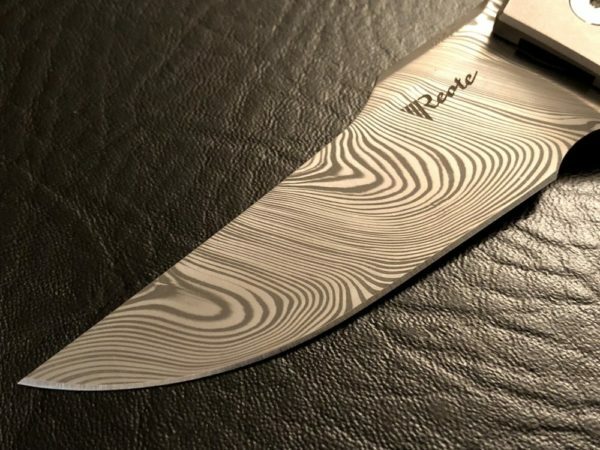 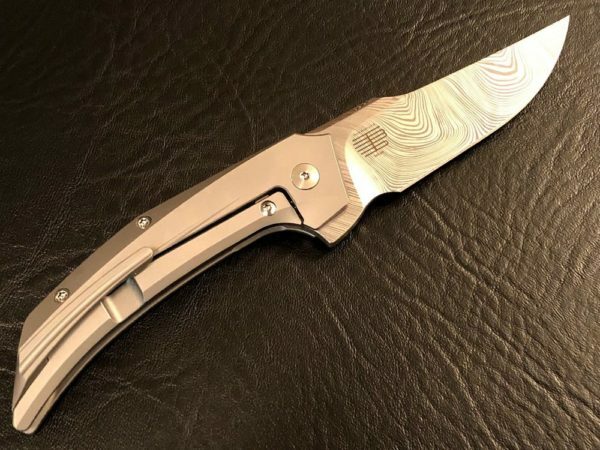 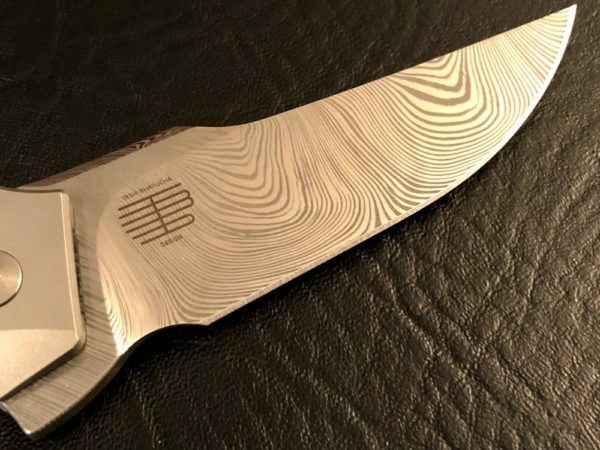 This design features a full Titanium design with a Damasteel Damascus blade. 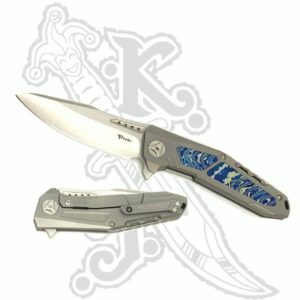 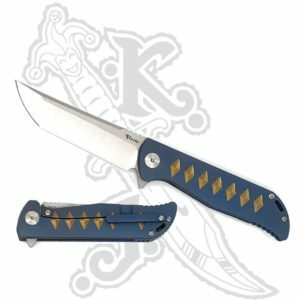 This knife also features a stainless steel lock bar insert to provide solid lock-up and it also works as and over-travel stop. 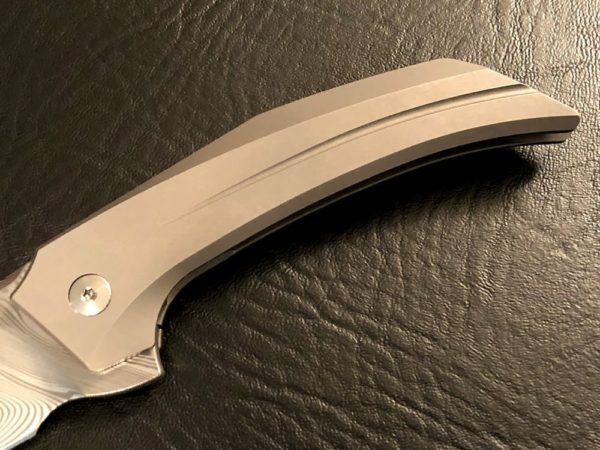 The blade deploys easily with the flipper tab. 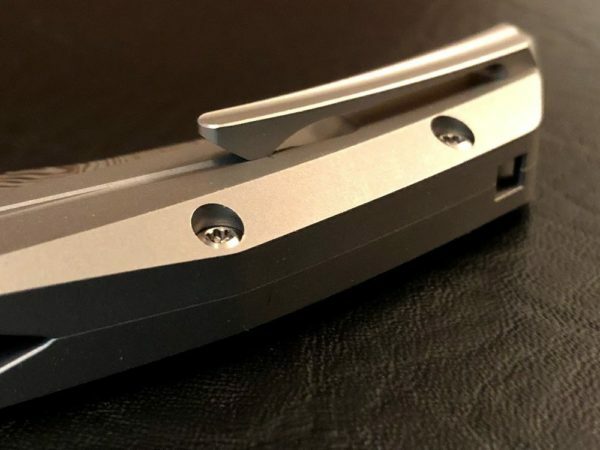 The blade rides on ceramic ball bearings for smooth operation. 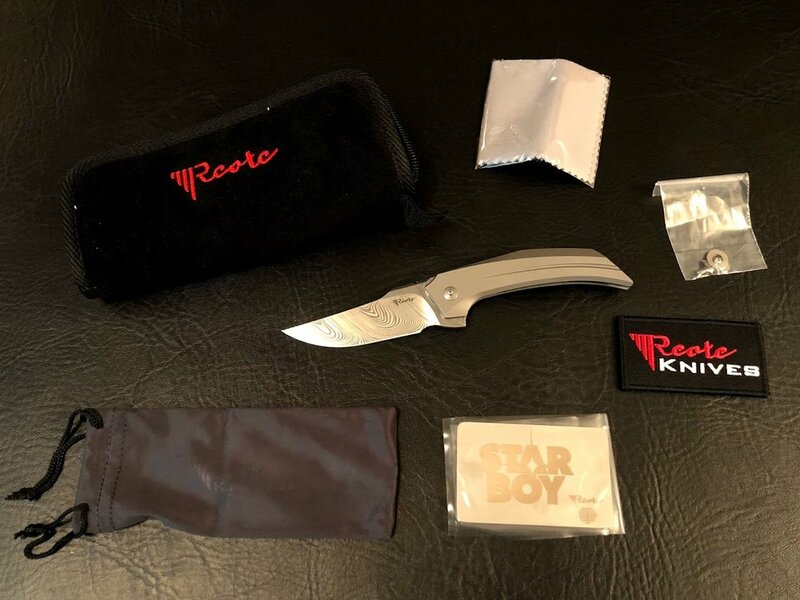 This Star Boy comes with a padded knife pouch, a knife bag, cleaning cloth, extra hardware, and a Reate Knives velcro embroidered badge. 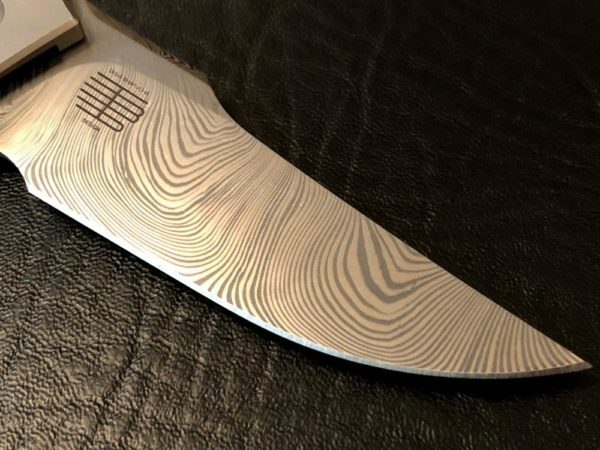 Every Mokuti Handle looks different.